The National Collegiate Athletic Association (NCAA) announced that fans will be able to enjoy the NCAA Division I Men’s Basketball Championship tournament action across more places than ever before. The official NCAA March Madness Live app now supports a dozen platforms such as the Apple TV, the Apple Watch, Amazon’s Fire TV devices, Android tablets and smartphones, Windows devices, Roku players and more. 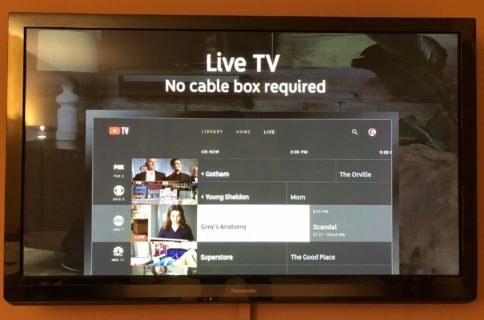 The Apple TV app promises a redesigned GameCenter experience, support for wireless streaming from a mobile device via Google Cast or AirPlay, enhanced VoD capabilities and an updated Bracket Challenge Game for further access to tournament content. 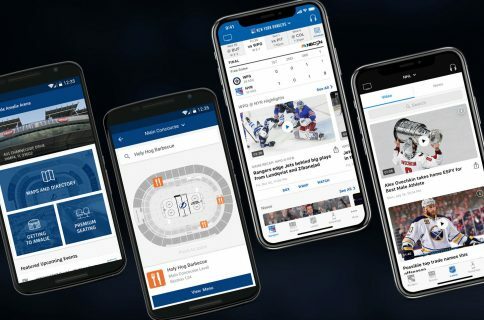 In addition, the app offers an exclusive Apple TV feature which permits fans to enjoy two live games at once with the split-screen feature. Pay TV subscribers will have access to unlimited live streaming coverage, on-the-go access throughout the entire championship across online, mobile, tablets, set-top boxes and smart TVs, as well as access to live radio broadcasts for all 67 games. There will also be a temporary preview period giving users access to live game streaming before login is required. On-demand content includes classic tournament moments, match-up analysis, game previews, top plays, featured videos and more. 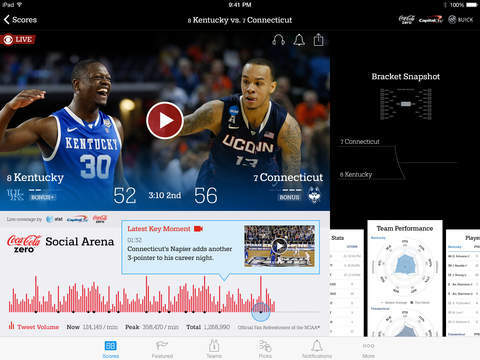 Additional content will include “excitement” alerts for the tournament’s big moments, as well as live game scoring, the official bracket, real-time game alerts for your favorite school, the Coke Zero NCAA March Madness Social Arena and more. 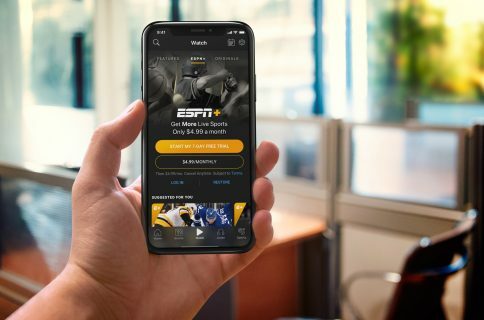 For the NCAA Final Four National Semifinals on Saturday, April 2, the app will provide three live video streams: a live-stream of the traditional game coverage provided on TBS, along with “Team Stream by Bleacher Report” coverage or team-specific presentations offered via TNT and truTV. Lastly, the upcoming tournament will include the National Championship airing on TBS, the first time the championship has ever been televised on cable television.